Come to Japan and you really can't miss them. They are on every street corner, at every station, close to attractions, in every hotel, inside department stores, on top of mountains (its true), on trains and oddly outside convenience stores! But don't dish them because they are not only essential but also incredibly convenient and saviours to locals and tourists alike. Japan can be a difficult place to travel around, its very busy and unfamiliar. The variety of products they sell and the food you can eat can make for difficult decisions to be made. The vending machines therefore can be your saviour, helping you out of a sticky situation. Mid summer, perhaps hiding from the midday sun in a park and you fancy an ice cream! No problem there will probably be vending machine that has them close by. Walking in the hills in the middle of an icy, cold winter? Need a hot drink? Grab yourself a warm canned coffee at the vending machine, even perhaps at the top of the mountain! When I climbed Mt Fuji there were vending machines at the top (along with a picture of David Beckham). And they don't just provide drinks or chocolates or other confectionery delights. I have seen (only once mind) the infamous underpants vending machine. Hidden in the depths of a suburb of Shinjuku. You could, if you fancy buy a DVD or magazine. I'm sure there are many more, but I can't currently think of any. 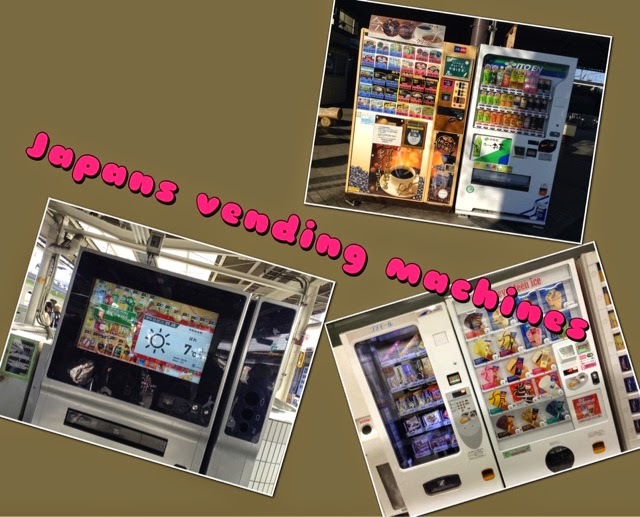 So please let me know if you have spotted unusual vending machines. Lets build up a world picture of these taken for granted machines. Now I know that most countries have them but I can honestly say that I have never seen or indeed used as many as I have when visiting Japan. So lets rejoice and celebrate these wonders of modern technology and also be thankful because they fulfil a key role and can be a travellers saviour. All hail the mighty vending machine!